HÀ NỘI — NA deputies voiced concerns that the countries’ competition authorities—the Vietnam Competition Authority (VCA) and the Vietnam Competition Council (VCC)—might not be sufficiently independent to fulfill their mission objectives in a fair and impartial manner. The deputies raised the concerns during discussion of the draft revised Law on Competition on Wednesday. While the VCC is a central government agency, the VCA is a branch office in the Ministry of Industry and Trade. The draft revised Law on Competition is currently in favour of merging the two competition authorities. The single national competition agency would then be put under the management of the trade ministry, with its mission, function and jurisdiction directed the government. However, there are concerns over the VCA’s ability to function as an independent competition authority while it remains a branch of the trade ministry. Those concerns are sharper given that the ministry is representing the government’s shares in a number of economic enterprises, said Vũ Hồng Thanh, chairman of the NA’s Economic Committee, in a report to the NA. Deputies suggested that the new national competition agency should be independent and run according to directives set by either the government or the National Assembly to ensure its independence and impartiality, which are crucial to its objectives. 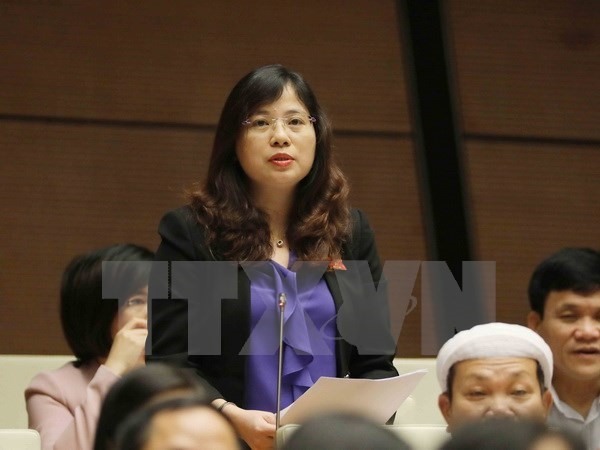 Trade minister Trần Tuấn Anh said should the agency be put under the trade ministry’s authority, major legal reforms and new regulations must be put in place to prevent conflicts of interest and ensure it remains an independent and fair agency. NA deputies agreed that the country needs a more inclusive and improved version of its current Law on Competition, which came into effect in 2005. Twelve years after the original law, with the country’s economy becoming more globally integrated, the legislation shows numerous shortcomings. These hinder its effectiveness in providing a level playing ground for economic enterprises, both Vietnamese and international.